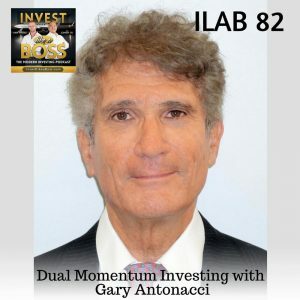 Gary Antonacci is an author, consultant, and public speaker on momentum investing. He introduced the investment world to dual momentum which combines relative strength price momentum with trend following absolute momentum. He is the author of the award-winning book, Dual Momentum Investing: An Innovative Approach for Higher Returns with Lower Risk. On this episode, he explains the fundamentals of momentum investing, its history, and its market efficiency. He also explains the relationship between momentum investing and trend following, his stand on the efficient market hypothesis, and the best application of momentum investing. Listen in and learn from the foremost authority on the practical applications of momentum investing. Listen to ILAB 82 on iTunes here or subscribe on your favorite podcast app. 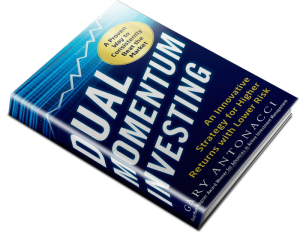 02:12 – What is Dual Momentum Investing? 03:59 – What are Relative and Absolute Momentum? 30:51 – How do you know when to get out?